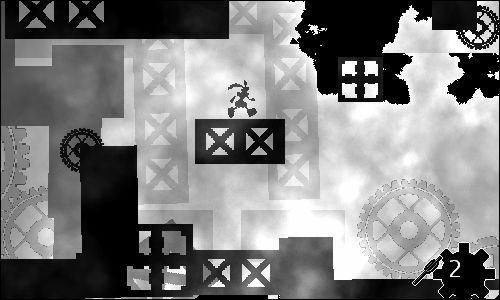 Clock Tower's Secret is a platformer in which players have to figure out a way to reach the exit portal by activating the correct switches to rotate the entire world towards the direction shown by the blue arrows. Hold the Z key to zoom out, and tap the C key to jump. Press the X key when your character is next to a switch to activate it. 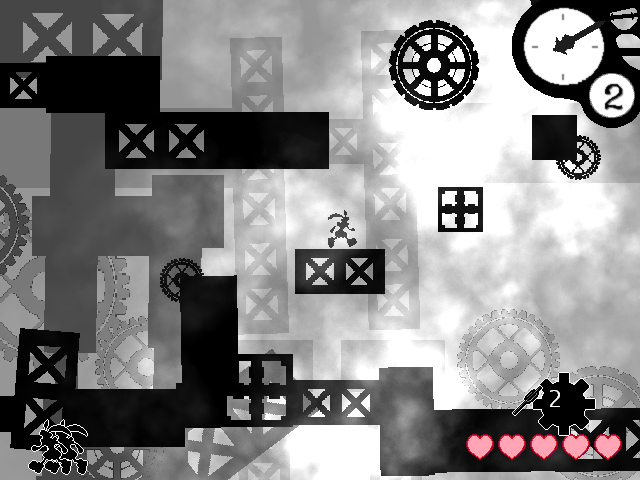 Developed by ssi for a recent Three Minute Game competition.